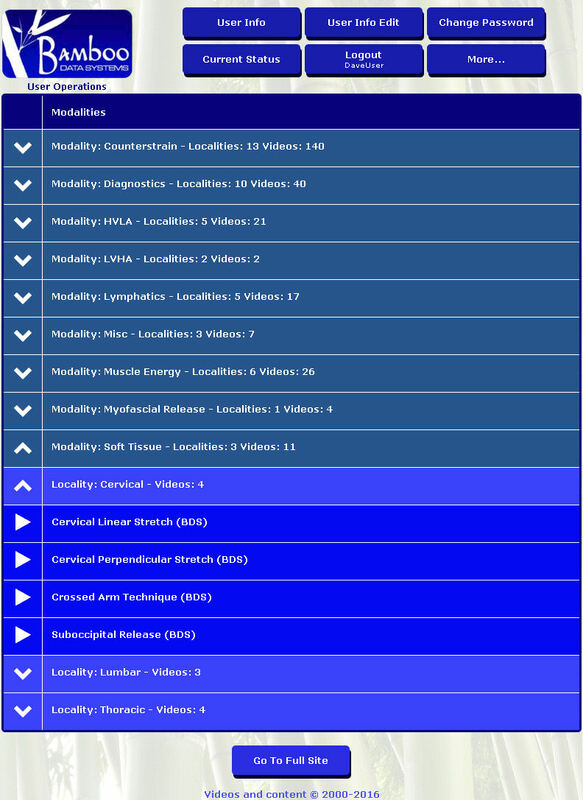 Video selection uses hierarchical, collapsible locality/modality lists. CSS3 features including Video tag mean that the site is supported by any compliant web browser. Videos that have already been watched are flagged as such. Users can leave quiz to view videos or other documents and then return at the same point. Users can view and manage their account information. 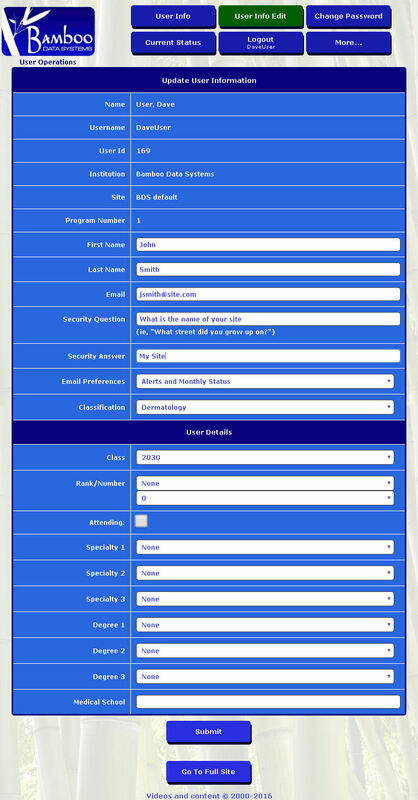 Users can view current status, including quiz schedule and video logging. Single page application (SPA) uses AJAX for server communications. 'Panel' paradigm allows for quickly moving between different parts of the application while maintaining current state of each. Responsive design adapts to viewport size.